I have just read an article about Anne Fine, previously the Children’s Laureate, about her inspirations for writing, her previous books and some advice for aspiring writers. I found out that she wrote a book called ‘Madame Doutfire’ which was the inspiration for ‘Mrs Doubtfire’ the film staring Robin Williams, a childhood favourite of mine! I love the advice she gives to people wanting to be writers. She quotes Robert Louis Stevenson, writwr of Treasure Island, who suggested ‘Read, read, read, read everything.’ Also, from Philip Larkin, ‘write the book that you yourself would most like to read, but that nobody else has bothered to write for you’. 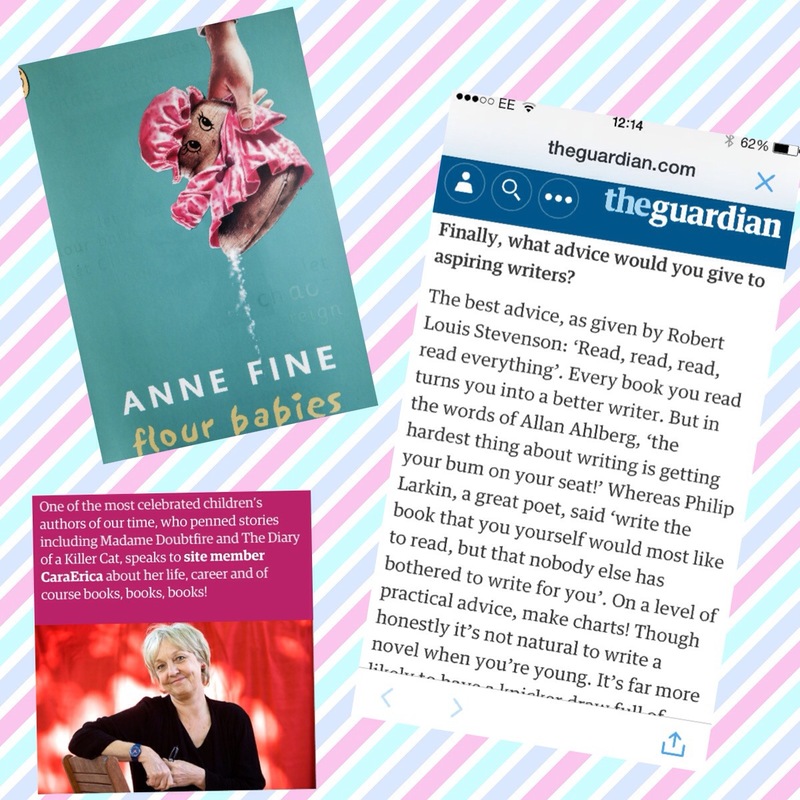 My next read will therefore be an Anne Fine book – Flour Babies.